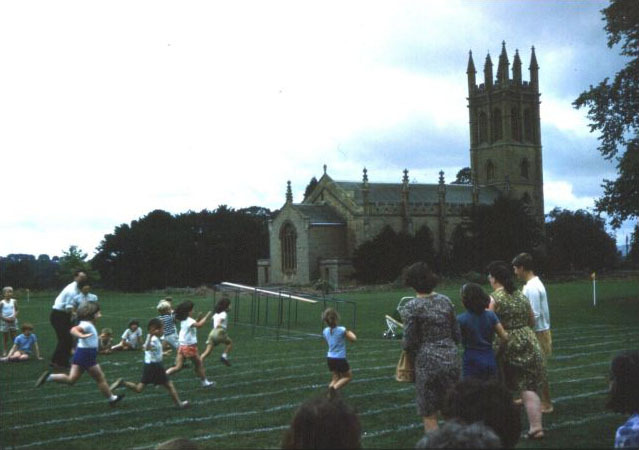 Take a trip back in time and rekindle memories of Churchill & Sarsden School. 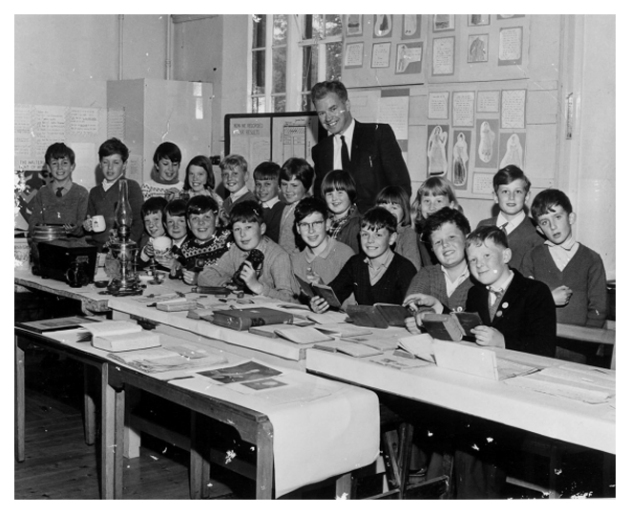 Churchill & Sarsden schools have a very long history of over 260 years. Were you at the school? have a look around and see if you recognise any of the pupils and teachers we have listed on the site. Are we missing something? 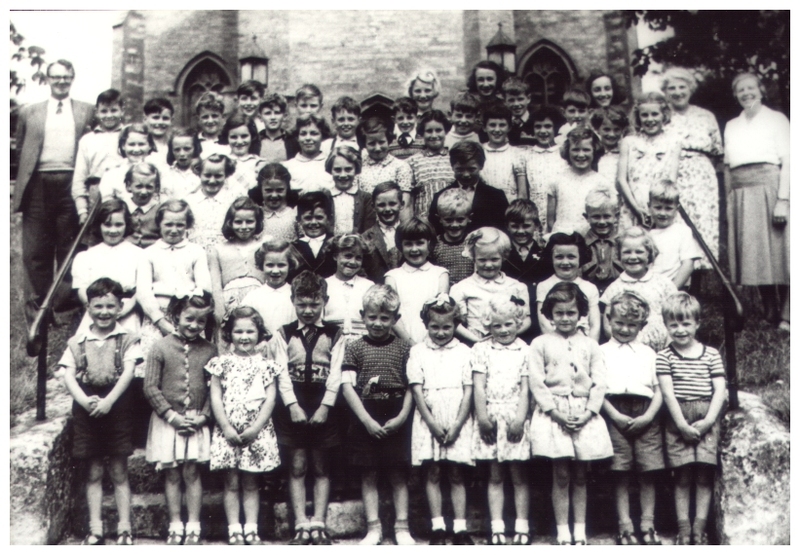 Do you have any photographs or school reports? Get in touch with us. We would love to receive any more information about the school. 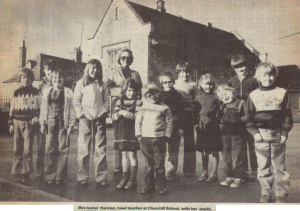 Were you a pupil at Churchill & Sarsden Primary School? See a list of all the pupils the we are aware of. Let us know if you are not on the list or if you know of anyone else that we don’t have information for. We have a long list of teachers and head teachers who taught at the school. Do you remember them? Have we missed any off the list? Was the playground really that small? I remember that summer day trip! Who’s that girl with the long dark hair? Relive the old days and squint at our grainy pictures of classmates from yesteryear. Who was at the school when the Travelling Centurion turned up? The Evesham Journal reported on the visit to Churchill School of a chap who was walking the length of Britain dressed as a Roman centurion. The police wouldn’t let him carry an authentic sword, though! 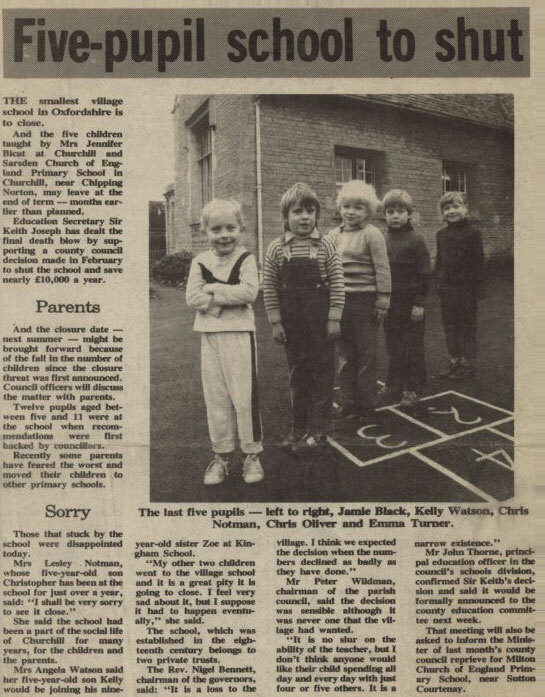 Even with over 280 years of educating children from the surrounding villages, the school was eventually earmarked for closure in 1981. The last 12 pupils at the school were taught by head teacher Isobel Harmann until the school finally closed for good. There was talk of turning it into a hotel, but, it was finally sold in 1985 for £146,000 to a local developer who converted it into 5 residential dwellings.